Names written as: "(forename) de Courcy". De Courcy and Glynn family trees by Paddy Waldron. Joynt family tree by Cathy Joynt Labath. Kiessling family tree (formerly here and here) by Johannes Kiessling. 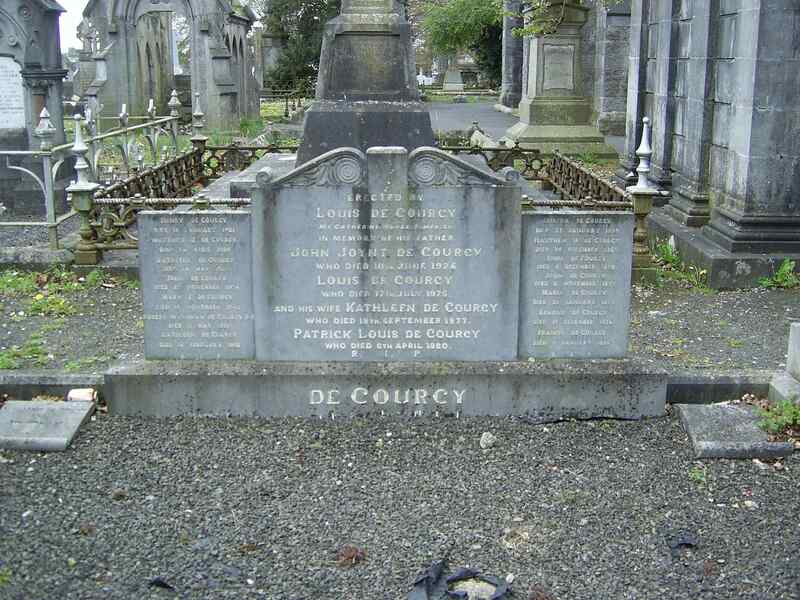 De Courcy graves, Mount St. Lawrence cemetery, Limerick. Location: Lat 178 long N. As you go from the N gate, heading S along the main path towards the chapel, the O'Mara graves are on your LHS. Go past them, nearer the chapel, turn left onto a path leading to the other gate, on that path on RHS are the de Courcy graves. See close-ups of LHS and centre and RHS. Memorial to Matthew Hare de Courcy (died 1865) and Matthew John de Courcy (died 1909) and John de Courcy (died 1936). Also memorial to John de Courcy (died 1872). 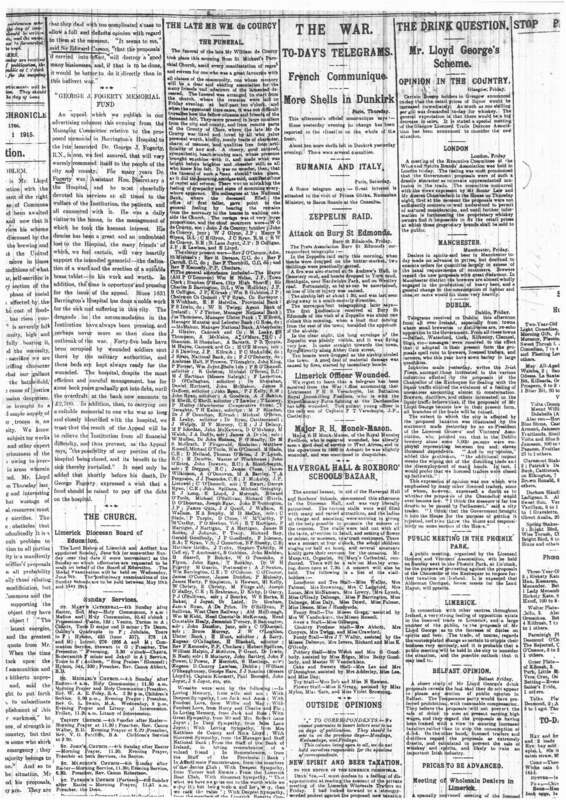 John Stephen, born 1872, Limerick. 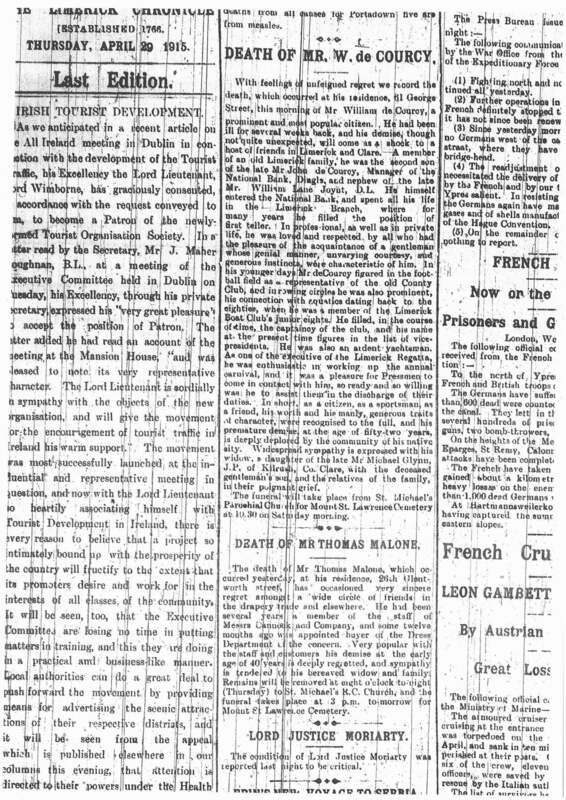 bapt 4 Aug 1892 [St.Michael's RC church, Limerick], transcript thinks it says "William Alphonsus De Courcy". 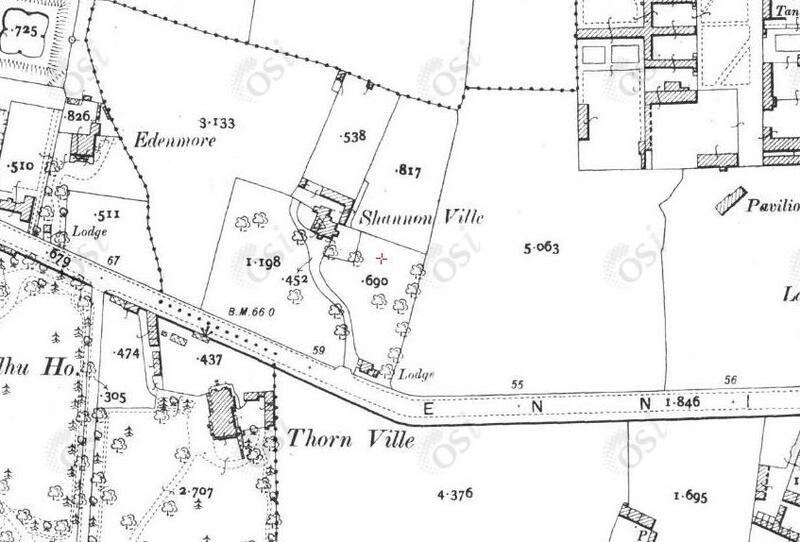 Shannon Ville, Ennis Rd, Limerick, on 1887 to 1913 map.